CLEAN CARFAX, MTI RACING AND REESE COX PERFORMED UPGRADES, **VETTE PROJECT MAGAZINE CAR** COMMEMORATIVE EDITION, CORSA QUAD EXHAUST, RED BRAKE CALIPERS, BOSE PREMIUM SURROUND SOUND, BOOKS, HEAD UP DISPLAY, WINDOW STICKER, CUSTOM CAR COVER, THIS IS A GOOD FRIENDS WHO BOUGHT IT FROM A GOOD FRIEND OF HIS, BOTH ARE CAR COLLECTORS, BOTH KEPT THIS VETTE IN GARAGES AND IT IS IN IMMACULATE CONDITION!!!!! WE HAVE PAGES OUT OF VETTE MAGAZINE THAT GIVE VERY SPECIFIC DETAILS ON CERTAIN MODIFICATIONS ON THIS EXACT CAR AND HOW MUCH HP AND TORQUE WAS ADDED WITH EACH MOD, EVEN SHOWS THE DYNO NUMBERS ON THIS PARTICULAR CAR, THIS VETTE IS VERY SPECIAL AND WELL WORTH THE ASKING PRICE!!! THIS IS ABSOLUTELY NOT YOUR AVERAGE VETTE!!!! 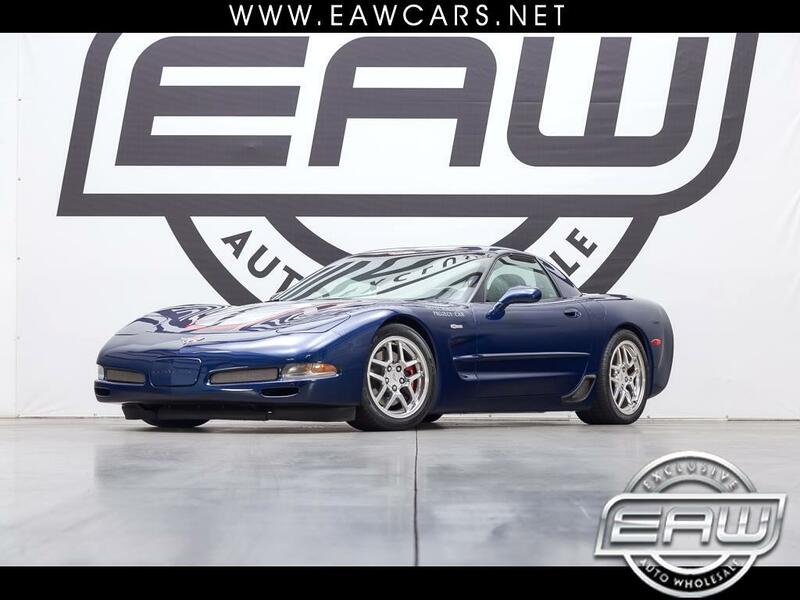 EXCELLENT CONDITION, DRIVES GREAT, 6 SPD MANUAL, WELL OVER THE INITIAL 405 HP OF A STOCK Z06. IT HAS LIVED IN ALABAMA ITS ENTIRE LIFE AND ONLY THESE TWO FRIENDS HAVE OWNED IT. STILL LIKE NEW... ONLY 4K MILES... GREAT BUY!! !